Bedstraw (Galium odoratum): growing, planting, caring. Bedstraw, or Woodruff, is a strongly scented (hence the ‘odoratum’), cute herbaceous plant, usually found lying flat on the ground with pretty white flowers. G. odoratum is a vigorous rhizomatous perennial forming a wide mat of erect stems to 30cm, bearing whorls of bright green, lance-shaped leaves, hay-scented when dry, with terminal clusters of small white, starry flowers. Aspherules bear green leaves in whorls on creeping or erected stems. They bear white flowers in corollas arranged in terminal cymes. 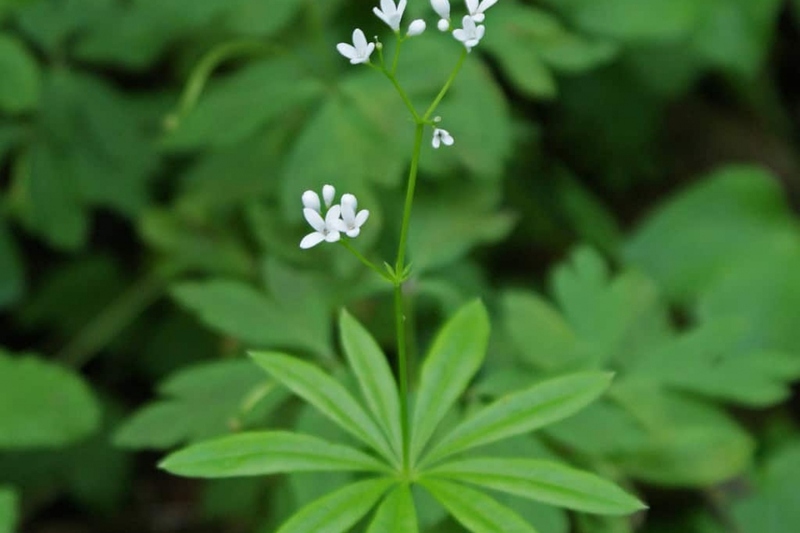 Plant your woodruff in the shade or possibly in partial shade from February to April and from September to November. They particularly appreciate a wet and rich in humus soil ... as in the forest, what. To remember: the woodruff are ground covers, so plan a little space around them for their growth. Tamp the soil well to remove air around the roots, then water thoroughly. Water regularly the first month to accelerate the setting up of the asperules. Then, if they are sheltered enough you should not have to care anymore. The dried asparagus serves as a condiment, as medicine or to perfume linen. Harvest it during spring, then spread it on a dry cloth or paper towel in an airy room. Monitor it from time to time: if it molds, ferments or blacks throw it, because it has become toxic.